As seasons change, so too do the demands placed on a vehicle. In order to maximize vehicle life and minimize changes in performance, some seasonal maintenance must be accomplished. Summerizing and winterizing are important ownership responsibilities that prepare both car and driver for the coming conditions. Outlined below are some important considerations when performing seasonal maintenance. Regular oil changes keep the inner passageways of the engine clean and the engine lubricated and cool. Going into summer, this regular maintenance item should be adjusted to reflect manufacturer's recommendations regarding oil weight. 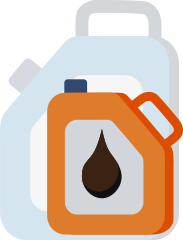 During high temperature operating conditions, a heavy oil may be required to maintain the desired operating viscosity. Nothing is as disheartening as warm air blowing from an air conditioner vent on a hot day. Air conditioning maintenance can prevent costly repairs and can be as simple as running the air conditioner periodically even in cold months to keep the seals and pumps in the system lubricated. Take a look at any belts that drive the compressor, be mindful of any drips (other than the water that drains from the system) and be aware of any unusual smells or sounds that start when the AC is selected. As summer approaches, consider having the Air Conditioner serviced. Servicing the AC requires specialized equipment and a trip to the shop is recommended. Summer tires will be harder, in order to handle hotter operating temps, and will provide maximum traction, handling, and efficiency on the hot dry roads of summer. Summer tires are often lower profile, less aggressively tread-patterned tires and should be checked regularly for wear and proper inflation. The tire shop that removed the summer tires last fall will have marked them so that they can be re-installed on specific wheels thereby providing a tire-rotation service to promote even wear. As always, it is very important to maintain any tire at its optimum inflation pressure. 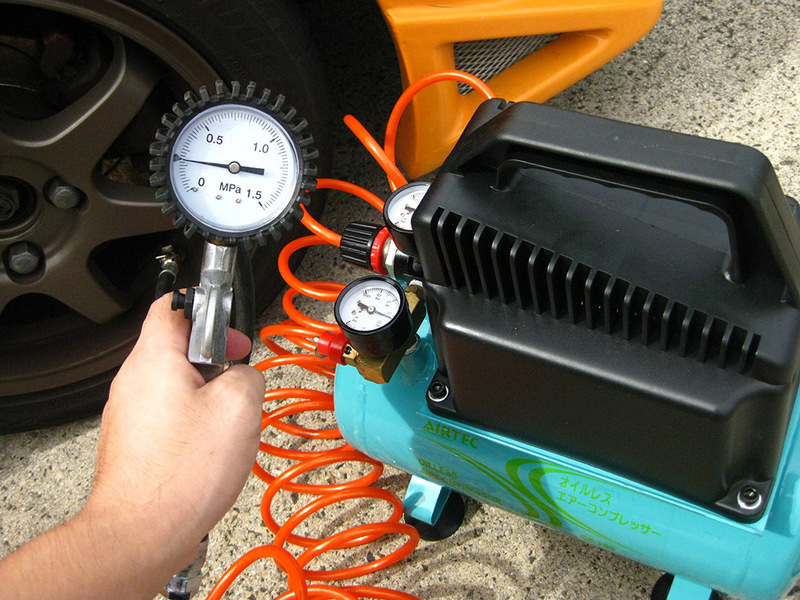 As temperatures fluctuation during the spring, tire pressure can change dramatically. Image Courtesy - «Air pressure adjustment of tire» by Laineema on Flickr, licensed under CC BY 2.0. Make sure to check tire pressure once a month or more if there are large changes in temperature. In high temperatures, be aware of vibrations or bumps that increase in frequency with speed as these can be signs of tire de-lamination. Although not particularly common, ignoring these signs can lead to tire separation at high speeds. The summer driver will also check the spare tire to make sure that an unexpected flat can be handled with ease. Summers often include unexpectedly wet roadways that require good brake condition and hot roads that increase operating temps and wear on the brake system itself. 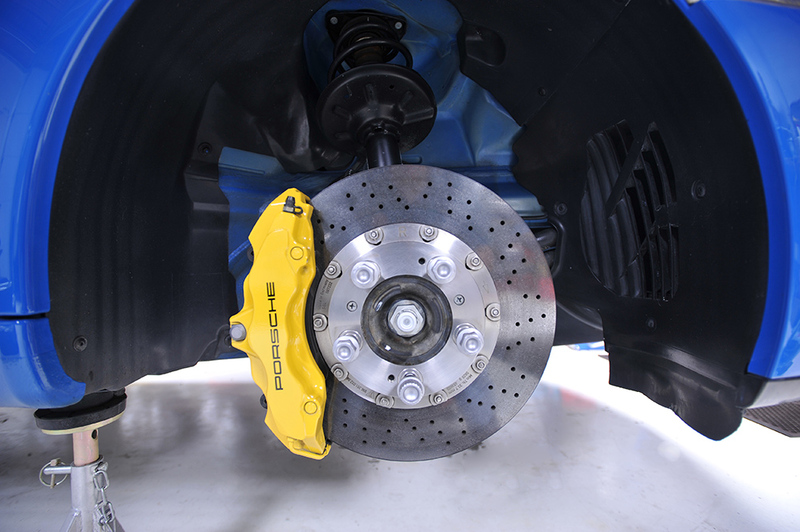 Thus, in summer, the brake system should be inspected to make sure that the pads have plenty of material and that the rotors or drums are of sufficient thickness to both dissipate the heat and handle the increased wear. Image courtesy of Wikipedia.org, licensed under CC0 Public Domain. Condition of components should also be inspected. Pads that are cracked, crumbly or discolored must be replaced. Likewise, rotors that are grooved, discolored or worn thin need to be replaced. Brake fluid level should also be checked. As a battery gets hot, it becomes less efficient. 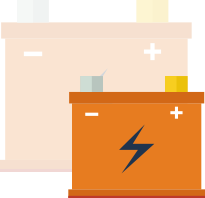 As a battery becomes less efficient, it generates more heat. The summer driver faces a conundrum that can only be addressed by maintaining a strong battery through the hot season. Sealed batteries should be kept clean. In addition to keeping the terminals clean, lead-acid batteries may need to have their fluid levels checked. 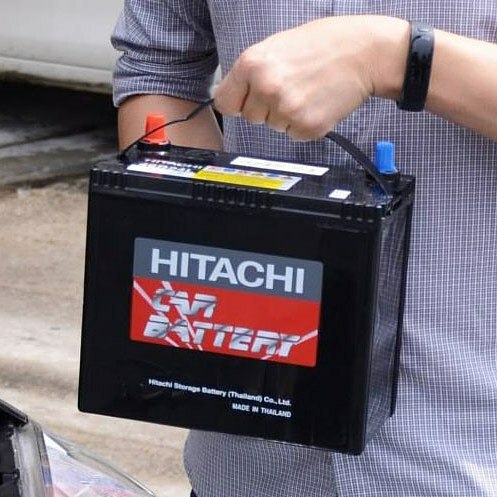 Image Courtesy - «Check this out, the new Hitachi MFX car battery.» by Vernon Chan on Flickr, licensed under CC BY 2.0. Regarding the cleaning of the battery, the terminals can be scrubbed with a mild solution of baking soda (sodium bicarbonate) to remove any corrosion around the terminal posts or on the cable ends. A dielectric grease can then be applied to the terminals to limit corrosion and maintain a good connection with the cables. Rubber windshield wipers will suffer in the heat of summer. Blades that have survived the salt and grime of winter may need to be replaced as the summer approaches. Wiper fluid should be topped off as bug season approaches and the wiper arms can be inspected for general condition. Image Courtesy - «Wiper» by Hernán Piñera on Flickr, licensed under CC BY-SA 2.0. 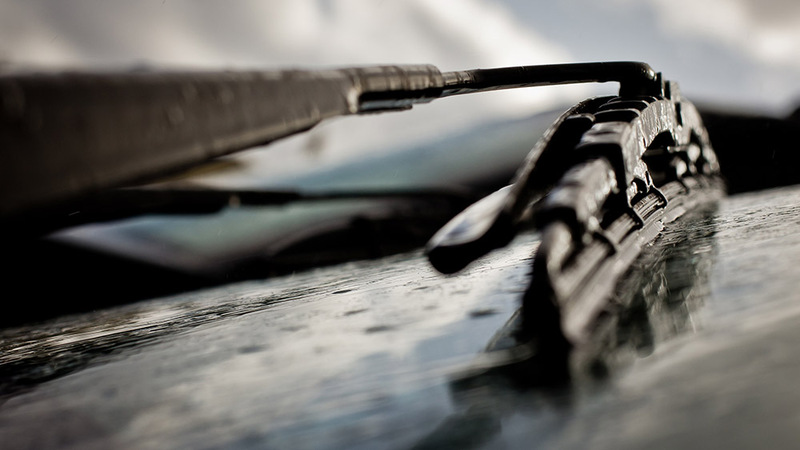 Wiper components often need to be replaced every six months or more to maintain optimal performance. Consider having any chips in the windshield from winter driving repaired before they lead to bigger cracks. Rinse the grime and salt of winter off with a good cleaning and wax when winter ends. The finish of the car, the metal parts underneath and the fabrics inside will all benefit from a good cleaning and will be protected from the heat and sunlight of summer. Additionally, a clean car is easier to inspect for damage that may be hidden under the filth. The spring is a good time to check the car for general condition and perhaps have some additional services done. Are the air filters being changed at each oil change? Consider checking the fluids, belts, and hoses and addressing anything that was causing concern during the winter. Adding a summer emergency kit to the car in the spring is a good idea. Put in car shades for parking in the sun, sunscreen, water, bug repellant, snacks and perhaps a towel for unexpected summer fun. As always, carry an emergency kit that includes jumper cables, first aid, emergency contact information, water and anything else appropriate to the local conditions. Winter is a hard season for any car. The cooling system must function flawlessly through temperature changes that swing from below freezing to hundreds of degrees above. Make sure that the coolant is full, clear and brightly colored. Any dark fluid should be flushed and replaced, as should any fluid older than two years. The radiator, hoses and caps should be checked for wear. There should be no leaks, tears, bulging hoses or cracks. Winter oil will likely be a little lighter than that of summer. In order for very cold oil to provide lubrication, it must be thinner. 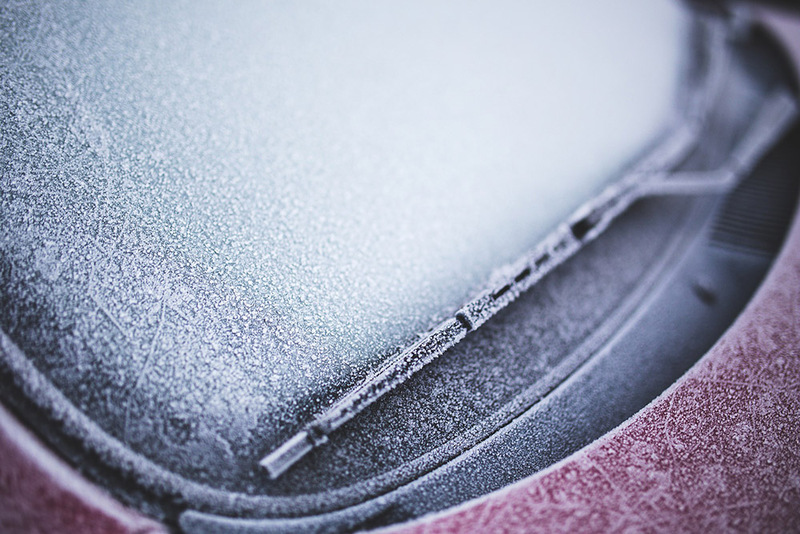 Severe wear can take place if the wrong oil is in the vehicle during cold engine starts in very cold weather. Thus, regular oil changes should shift to winter oil as the temps drop. Consult the manual for seasonal changes in recommended viscosity. Front and rear windshield defoggers should be checked, as should fans and heaters. If hot air is not present at the selected vent, it might be a broken duct. If no hot air is present or the smell or residue of coolant is present inside the vehicle, there might be a leak in the heater core. These fixes are easier to address before temps plunge. Image Courtesy - «Foggy Windows from Flood Water» by accarrino on Flickr, licensed under CC BY-ND 2.0. Finally, a check of the door seals will reveal any potential water leaks that would allow moisture into the car. If there were any signs of moisture around the doors or windows during the summer, the problem will likely be exacerbated in the cold temperatures and wet conditions encountered in the winter. In winter, tires are very important for safety. Winter tires will be more aggressively patterned and will be made of a softer compound that is pliable at cold temperatures. All season traction tires, snow tires, studded snow tires and even tire chains may be required depending on local conditions and driving habits. Whichever tire is selected, it must be monitored for pressure. Large swings in temperature, particularly cold temps, can effect large changes in tire pressure. Weekly tire pressure checks are not overkill. For a tire to be effective on snow-covered or icy roads, it must be inflated correctly. 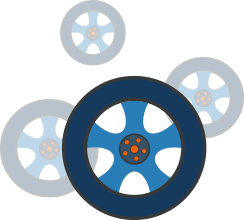 As always, the spare tire should be checked and its level of traction should be considered before winter driving. 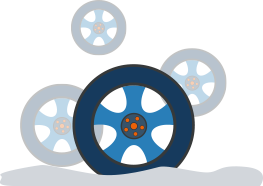 It is not uncommon, in snowy areas, to find vehicles carrying an extra full size tire or snow tire as the likelihood of flats increases in the winter, as does the adversity of the road conditions encountered by the spare. Cold chemicals react less quickly than when hot. 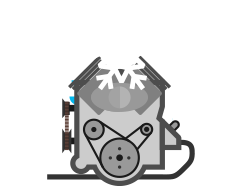 Thus, in the lead acid battery, energy output, as the product of chemical reaction, is reduced in cold weather. A strong battery is required for starting in cold temps. Thoroughly inspect batteries, terminal connections and fluid levels in the fall. Consider replacing a battery that is more than a couple years old or that shows any signs of weakness in moderate temps. If a battery is allowed to freeze (unlikely except for old batteries in VERY cold temps) it is likely ruined and will need to be replaced. Having new wiper blades and full fluid reservoirs will be important for removing winter grime from a windshield. 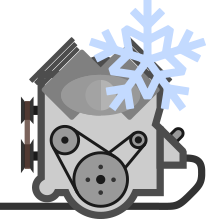 Winter wipers are stiffer than standard and winter fluid will have a lower freezing point and will include the anti-freeze compounds needed to preserve the wiper pump. Both will handle snow and ice better than their standard counterparts. Snow should be cleaned from the roof, hood, trunk, and all glass before driving and windshields should be heated until the windshield wiper blades are free to move. It is not impossible to rip a wiper blade by turning the wipers on while the blades are frozen to the windshield. 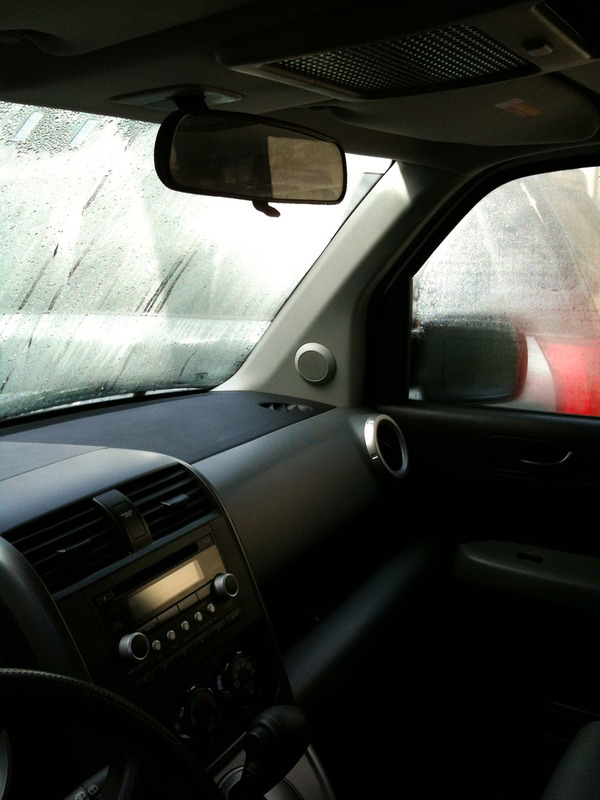 A clean hood and windshield will prevent ice-glare and unexpected windshield contamination. Likewise, inside the vehicle, turning on the AC, with the heat control selected to "hot" will both exercise the AC components and de-humidify interior air thus decreasing window fog. Consider having the brakes thoroughly inspected in the fall along with the belts, hoses, fluids, lights and filters under the hood. Winter is a challenging time for all parts of the vehicle and having things in tip-top shape will be important as winter driving starts. Finally, keep fuel levels in the tank above half in the winter. Condensation in the empty portion of the fuel tank can cause problems as temps fluctuate in the winter. In addition to the emergency driving kit that should be in the vehicle at all times (water, snacks, tools, jumper cables), winter requires some additional special tools. Warm blankets and coats should always be kept accessible from the passenger compartment. Traction enhancers like cat litter or carpet remnants should be carried, as should an extra ice scraper and a small shovel. 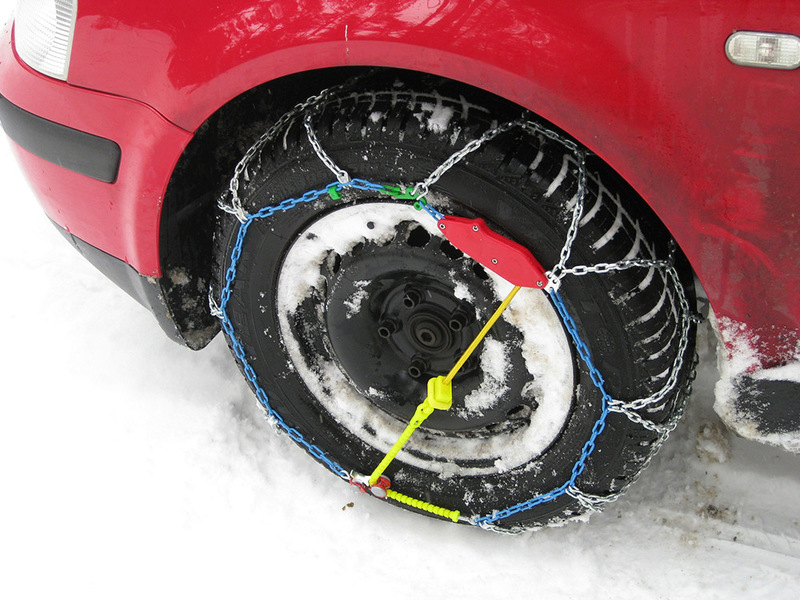 Tire chains, if applicable should be included, as should lock de-icer tools and extra premixed anti-freeze. Consider including work gloves as well. Putting on chains with bare hands is unpleasant.